Ahluwalia, Rohini, H. Rao Unnava, and Robert E. Bumkrant. 1999. "Towards Understanding the Value of a Loyal Customer: An Information-processing Perspective." Report No. 99-116. Marketing Science Institute, Cambridge, MA. Anderson, Erin and Barton Weitz. 1992. "The Use of Pledges to Build and Sustain Commitment in Distribution Channels." Journal of Marketing Research 24 (February): 18-34. Anderson, Eugene W. and Mary W. Sullivan. 1990. "The Antecedents and Consequences of Customer Satisfaction for Firms." Marketing Science 12 (2): 125-143. Bayus, B. L. and W. Putsis (2001). "An Empirical Analysis of Firm Product Line Decisions", Journal of Marketing Research, 38 (February), 110-118. Bitner, Mary J. and A. R. Hubbert. 1994. "Encounter Satisfaction Versus Overall Satisfaction Versus Quality?' In Service Quality: New Direction in Theory and Practice, chap. 3. Eds. Roland T. Rust and RichardL. Oliver. Thousand Oaks, CA: Sage, 72-94. Boatwright, Peter, Joseph C. Nunes. 2001. Reducing assortment: An attribute-based approach. J. Marketing 65(July) 50–63. Bolton, Ruth N. and J. H. Drew. 1991. "A Multistage Model of Customer's Assessments of Service Quality and Value_9 Journal of ConsumerResearch 17 (4): 375-384. Bowersox, D.J., Closs, D.J., Stank, T.P., 2000. Ten mega-trends that will revolutionize supply chain logistics. Journal of Business Logistics 21 (2), 1–16. Cadotte, Ernest R., Robert B. Woodruff, and Roger L. Jenkins. 1987. "Expectations and Norms in Models of Consumer Satisfaction_9 Journal of Marketing Research 24 (August): 305-314. Campo, K., E. Gijsbrechts, P. Nisol. 2003. The impact of retailer stockouts on whether, how much, and what to buy. Internat. J. Res. Marketing 20 273–286. Charlton, P., A. S. C. Ehrenberg. 1976. An experiment in brand choice. J. Marketing Res. 13(2) 152–160. Coopers and Lybrand (1997) Efficient Consumer Response - Europe: Value chain analysisproject overview,http://www.coopers.co.uk/managementconsulting /ecr /,last access: Nov 2009. Coyle, J.J., Bardi, E.J. and Langley, C.J. Jr (1992), The Management of Business Logistics, Fifth Edition, West Publishing Co., St Paul, MN, pp. 38-9. Cronin and S. A. Taylor. 1994. "SERVPERF Versus SERVQUAL: Reconciling Performance-Based and Perceptions-Minus-Expectations Measurement of Service Quality." Journal of Marketing 58 (i): 125-131. Definition provided by the Council of Logistics Management, 1986. Dwyer, E Robert, Paul H. Schurr, and Sejo Oh. 1987. 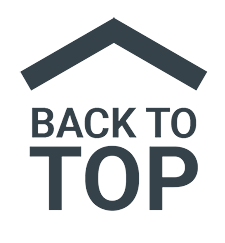 "Developing Buyer-Seller Relationships?' JournalofMarketing 51 (April): 11-27. Emmelhainz, M. A., J. R. Stock, L. W. Emmelhainz. 1991. Consumer responses to retail stockouts. J. Retailing 67(2) 138–147. Fornell, Claes. 1992. "A National Customer Satisfaction Barometer: The Swedish Experience?' Journal of Marketing 56 (1): 6-21. Buzzell, R. and B. Gale. 1987. The PIMS Principles. New York: Free Press. Ganesan, Shankar. 1994. "Determinants of Long-Term Orientation in Buyer-Seller Relationships?' Journal of Marketing 58 (April): 1-19. Geyskens, Inge, Jan-Benedict E. M. Steenkamp, and Nirmalya Kumar. 1999. "A Meta-Analysis of Satisfaction in Marketing Channel Relationships?' Journal of Marketing Research 36 (May): 223-238. Gronhaug, Kjell and Mary C. Gilly. 1991. "A Transaction Cost Approach to Consumer Dissatisfaction and Complaint Actions?' Journal of Economic Psychology 12 (1): 165-183. Heide, Jan B. and Allen M. Weiss_9 1995. "Vendor Consideration and Switching Behavior for Buyers in High-Technology Markets." Journal of Marketing 59 (July): 30-43. Heskett, James L., Thomas O. Jones, Gary W. Loveman, Earl W. Sasser,and Leonard A. Schlesinger. 1994. "Putting the Service-Profit Chain to Work." Harvard Business Review 72 (2): 164-174. Heskett, J.L., 1987. Lessons in the service sector. Harvard Business Review 65, 118–126. Heskett, Earl W. Sasser, and L. A. Schlesinger. 1997. The Service Profit Chain_9 New York: Free Press. Lambert, D.M. and Stock, J.R., Strategic logistics Management, 3rd ed., Richard D. Irwin, Homewood, IL, 1993, p. 42. Larsen, P. D., & Lusch, R. F. (1990). Quick response retail technology: Integration and performance measurement. The International Review of Retail, Distribution and Consumer Research, (October), 17-34. Mentzer, J. T., Gomes, R., & Krapfel, R. E. (1989). Physical distribution service: A fundamental marketing concept? Journal of the Academy of Marketing Science, 17(Winter), 53-62. Mittal, Vikas and Wagner A. Kamakura. 2001. "Satisfaction, Repurchase Intent, and Repurchase Behavior: Investigating the Moderating Effect of Customer Characteristics." Journal of Marketing Research 38 (February): 131-142. Mittal, Vikas , William T. Ross, and Patrick M. Baldasare. 1998. "The Asymmetric Impact of Negative and Positive Attribute-Level Performance on Overall Satisfaction and Repurchase Intentions?' Journal of Marketing 62 (January): 33-47. Moorman, Christine, Gerald Zaltman, and Rohit Deshpande. 1992. "Relationships Between Providers and Users of Marketing Research: The Dynamics of Trust Within and Between Organizations?' Journal of Marketing Research 29 (August): 314-329. Morgan, Robert M. and Shelby D. Hunt. 1994. "The Commitment-Trust Theory of Relationship Marketing?' Journal of Marketing 58 (July):20-38. Motes, W. H., S. B. Castleberry. 1985. A longitudinal field test of stockout effects on multi-brand inventories. J. Acad. Marketing Sci. 13(Fall) 54–68. Naumann, Earl. 1995. Creating Customer Value: The Path to Sustainable Competitive Advantage. Cincinnati, OH: Thomson Executive Press. Nevill, S.J., Rush, D.G. and Sadd, D.W. (1998), ``Real-world examples of inventory effectiveness'', Supply Chain Management Review, Vol. 2 No. 3, pp. 39-46. Oliver, Richard L. 1993. "Cognitive, Affective, and Attribute Bases of the Satisfaction?' Journal of Consumer Research 20 (3): 451-466. _9 1996. Satisfaction: A Behavioral Perspective on the Consumer.New York: McGraw Hill. Oliver, Richard L.1999. "Whence Consumer Loyalty?" Journal of Marketing 63 (Special Issue): 33-44. Oliver, Richard L, Roland Rust, and S. Varki. 1997. "Customer Delight: Foundations, Findings and Managerial Insight." 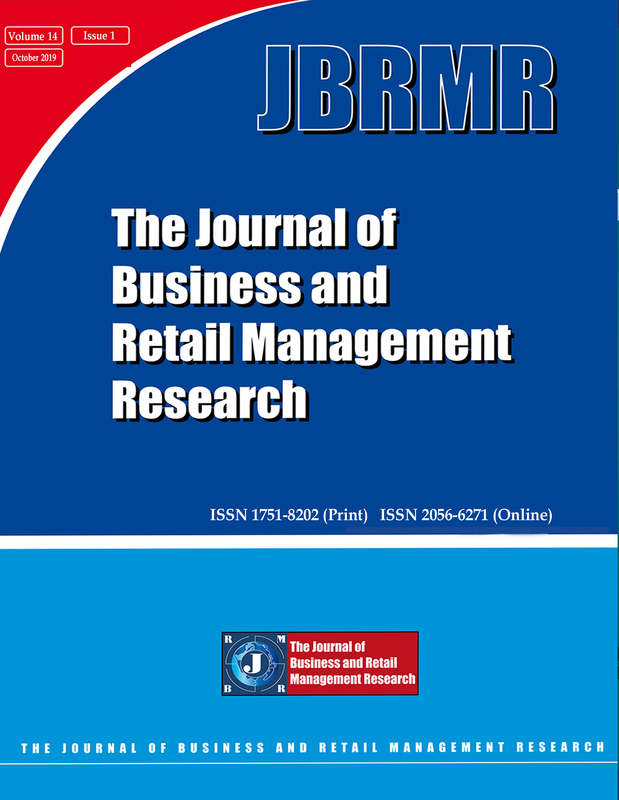 Journal of Retailing 73 (3):311-36. Orenstein, D. (1999), "Sales data helps 7-eleven maximize space, selection", Computerworld, pp.38..
J.O. Peckham, The consumer speaks, Journal of Marketing 27 (1963) (4), pp. 21–26. Perreault, W.D., Russ, F.A. (1974), "Physical Distribution Service: A Neglected Aspect of Marketing Management", MSU Business Topics, No.Summer, pp.37-45. Rust, Roland T. and Richard L. Oliver. 1994. Service Quality: New Directions in Theory and Practice. Thousand Oaks, CA: Sage. Schary, P. B., M. Christopher. 1979. The anatomy of a stockout. J. Retailing 55(2) 59–70. Shankar, Venkatesh, Amy K. Smith, and Arvind Rangaswamy. 2003. "Customer Satisfaction and Loyalty in Online and Offiine Environments"International Journal of Research in Marketing 20:153-175. Sirdeshmukh, Deepak, Jagdip Singh, and Barry Sabol. 2002. "Consumer Trust, Value, and Loyalty in Relational Exchanges?' Jourmd of Marketing 66 (1): 15-37. Schiller, Z., "Stalking the New Consumer", Business Week, 28 August 1989, pp. 54-62 (at p. 62). The Global Retail Development Index Emerging Market Priorities for Global Retailers” Copyright 2007, A.T.Kearney, Inc.
W. Verbeke, P. Farris and R. Thurik, Consumer response to the preferred brand out-of-stock situation, European Journal of Marketing 32 (1998) (11/12), pp. 1008–1028. Walter, C. K., J. R. Grabner. 1975. Stockout cost models: Empirical tests in a retail situation. J. Marketing 39(July) 56–68. William T. Ross, and Patrick M. Baldasare. 1998. "The Asymmetric Impact of Negative and Positive Attribute-Level Performance on Overall Satisfaction and Repurchase Intentions?' Journal of Marketing 62 (January): 33-47. Wilson, B.L., Kingdon, M., Reeve, T. (1995), "Best practices in retailing: quick hits in store-level merchandise and inventory management", Chain Store Age, pp.100. W. Zinn and P.C. Liu, Consumer response to retail stockouts, Journal of Business Logistics 22 (2001) (1), pp. 49–72. Level of customer satisfaction: an analysis of Vodacom services in Gauteng province of South Africa.